Who can resist digging into a warm, hearty bowl of beef or chicken broth with smooth and silky noodles? Whether it is a cold, rainy day or a sunny day, it is sure to keep your tummies warm and hearts comforted. If soups are not your cup of tea, there is the option of spring rolls or noodles with tangy, appetizing chili sauce. I hope you are salivating already because I certainly am! Luckily for all of us, these dishes are not too far away (instead of traveling to Vietnam). March on over to Du Viet to satisfy your Vietnamese cravings. Du Viet is a Vietnamese cuisine specialist. The name “Du Viet” means to “do Vietnamese” for a meal. “Du” is used to signify the French influence in Vietnam. Du Viet Group is one of the oldest established Vietnamese restaurants in the market. They have been around the block since 2002. 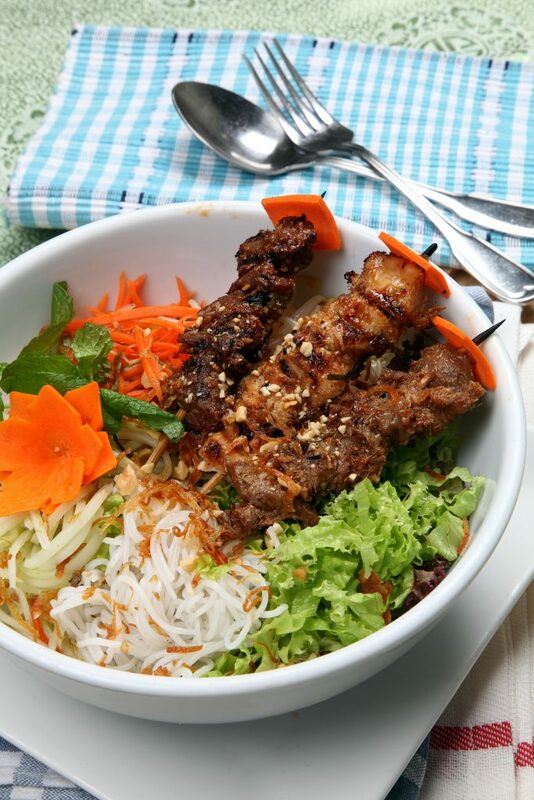 They offer pork-free, healthy and high quality Vietnamese food. They do not use any MSG, essence or preservatives, whilst soups are pure bone-broth patiently simmered over 8-12 hours for an all-natural taste. In addition, they swear by quality and taste and assures customers they will not feel thirsty after consuming their food. Recipes of dishes are prepared and maintained by a succession of chefs who hail from Hue, Central Vietnam, the ancient royal capital with a legacy of refined food fit for emperors. They are very proud of their array of appetizers and main meals. Appetizers like the Mixed Summer & Spring Rolls, Steamed Rice Wrapped Rolls, Sugarcane Shrimp, Hue-style Rice Cake are just a few of the popular items often ordered by their customers. For a light and healthy meal, the salads are to die for! Try the Seared Beef, Apple and Seafood Salad. 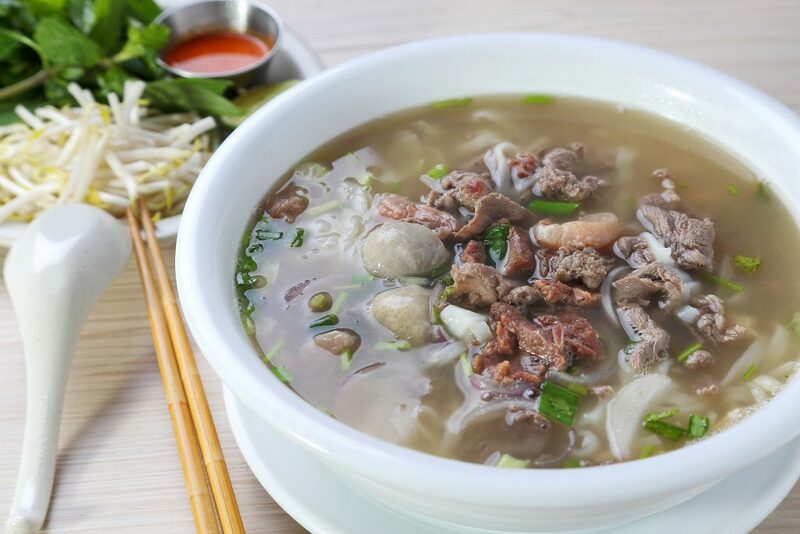 Du Viet’s signature dish is definitely the Traditional Mixed Beef Noodles Soup (Pho Bo Dac Biet). Their version is very different from all the rest in the market. The soup is by far the clearest and most natural tasting, i.e. not too strong on the taste and smell of beef and spices. No beef cube essence is used, resulting in a lighter broth. However, like a home-cooked meal one can finish the soup to the last drop as it is all pure bone-broth. For non-beef eaters, you can opt for the Traditional Chicken and Prawns Noodles (Pho Ga Tom). All the herbs and spices used in this soup are the same as in the beef soup (Pho Bo), only that it is done with chicken stock. Furthermore, they have the light and refreshing dry-style noodles with your choice of grilled toppings such as Lemongrass Chicken, Beef, Fish and Prawns etc. These come with fish and peanut sauces, which are made from scratch. Alternatively, they also offer a Vegetarian menu for vegans and their menu is gluten-free. Du Viet was born from a passion and love for authentic Vietnamese food. Food is like music too. Food rekindles a special moment in your life and they want to recreate that through the food that they serve. A moment that you will remember each time you have Vietnamese food. The founder remembers vividly his first bowl of Pho Bo (beef noodles soup) in a freezing cold winter day. It came with all the fresh herbs, vegetables and garnishing. That was something different and special. The accompanying condiments were a breath of fresh scents and flavours that complemented the hot bowl of beef noodles. It was love at first taste and ever since that day, the founder was hooked on Vietnamese cuisine ‘pho’ sure. Upon return to Malaysia many years later, much to disappointment there was a dearth of Vietnamese restaurants in town. The search for that familiar taste and quality was like hunting for the Holy Grail. There is a market for better quality and tasting Vietnamese food and that it must be better than the existing standard. There was a void that needed to be filled. When it was determined the market was ready, the founder worked out the details and numbers and brought in proper Vietnamese chefs. Du Viet could offer something more authentic and the customers could have a better appreciation of this cuisine. 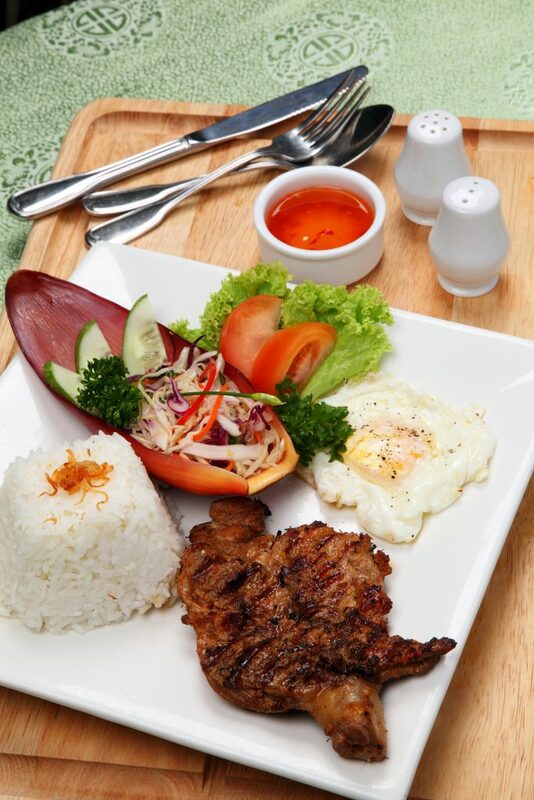 Du Viet believes in using quality ingredients to produce healthy and comfort Vietnamese food. They pride themselves as a family-owned and run business with a legacy of employing experienced chefs from Hue, Vietnam who have maintained their unique recipe and standard over 15 years of business. They aim to be a leading player in this niche market. Furthermore, they would like Vietnamese cuisine to be a staple comfort food that everyone can enjoy. This is one reason why they chose to be pork-free as they recognise the demographics of the market right from the start. They will continue to promote and raise the profile of Vietnamese cuisine in Malaysia as it is still in its infancy in comparison to other more established Asian cuisines like Japanese, Thai and Korean. There is still a long way to bring it to that level of acceptance. 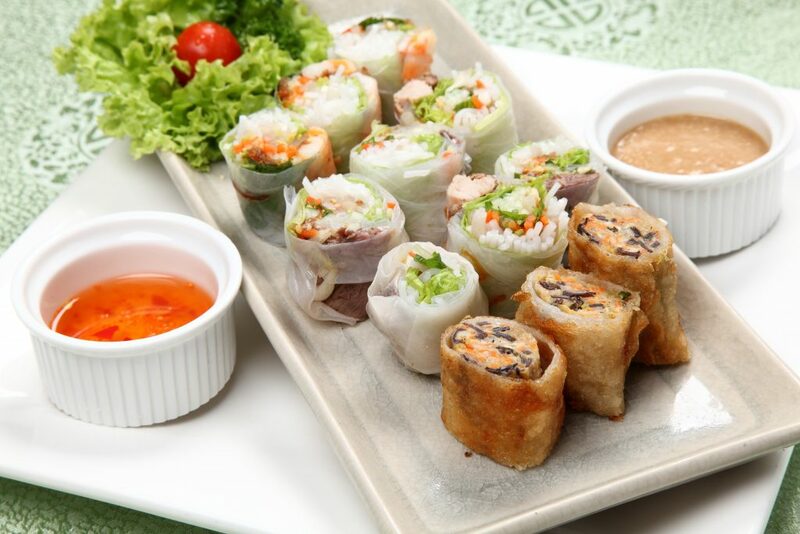 They aim to establish their brand of Vietnamese food as the benchmark for this cuisine. By remaining focused and true to their values, they would like to expand the business regionally through joint-ventures and/or franchise. Let GrabFood Grab Your Food for You!